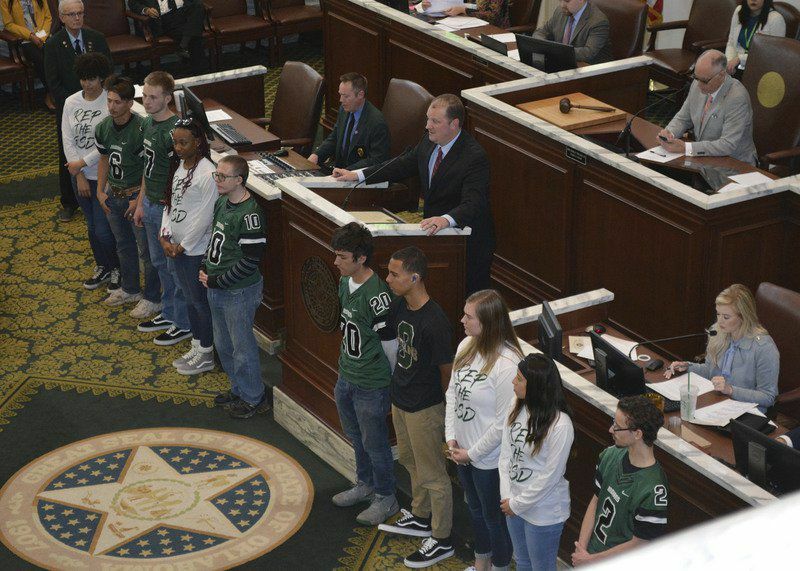 OKLAHOMA CITY – Oklahoma House of Representatives Speaker Charles McCall (R-District 22) from Atoka honored a trifecta of championship teams from the Oklahoma School for the Deaf April 8 on the House floor. The OSD men’s football team was named the 2018-2019 co-champion, while the women’s basketball and cheer teams are both champions in the Great Plains Schools for the Deaf Conference. 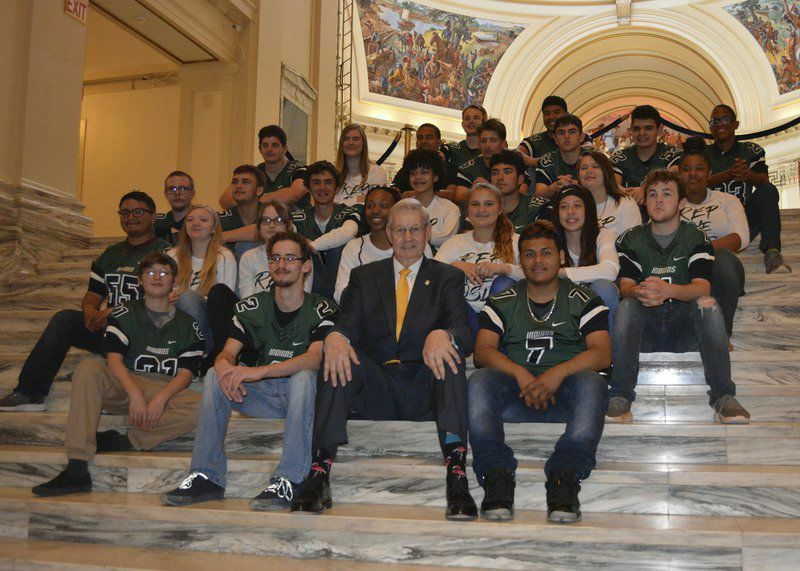 Sen. Frank Simpson (R-District 14) from Springer stepped out of the Senate session for a photo with the student-athletes and acknowledged their presence in the Senate gallery overlooking the Senate floor. The OSD football team’s record for 2018-2019 was four wins against Arkansas, Minnesota, Missouri and Kansas and three losses to Louisiana, Mississippi and Life Christian Academy. The team was also the conference champion in 2008, 2012, 2014 and 2018. The OSD women’s basketball record was nine wins and 14 losses. In conference play, OSD earned five wins and two losses against Kansas School for the Deaf and Texas School for the Deaf, which is the Division 1 national championship team. The OSD team also earned conference champion titles in 2006, 2007, 2009 and 2016. “Our OSD women beat several teams from public schools with hearing students from the local area and gave several Class B, A and 2A schools in our area a run for their money,” Mathis said.